Oxtail stew is a hearty meat and vegetable dish. The marrow, located in the center of the oxtail, gives the stew a rich flavor. 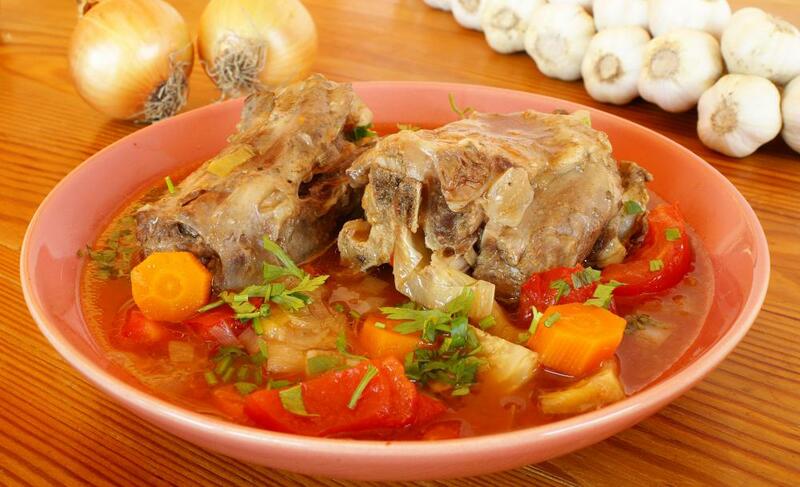 Oxtail stew is a thick soup made from the meat and bones in the tail of cow. The meat is usually combined with some spices, water or stock, diced aromatic vegetables and root vegetables, and then simmered for a few hours to reduce the sauce. Ingredients such as wine, beans and mushrooms also can be added for flavor and texture. The dish is served all around the world, sometimes out of the necessity to use all parts of a cow to prevent waste. Some Asian recipes call for the addition of ginger or soy sauce, while a few Jamaican versions include very hot peppers. The basis for the complex taste of oxtail stew is the layering of the flavors of the ingredients. The dish is prepared in different cooking stages, and each stage not only develops the texture and essence of the ingredient being cooked, but carries over parts of the previous ingredients, even if they are not in the pan. An oxtail stew that is made properly is an entirely different creation than a stew in which all the parts are simply placed into a pan and cooked at the same time in water. The first step in making oxtail stew is to cook the oxtails. These are firm medallions of muscle wrapped around a large bone in the center. The meat contains a good amount of collagen, which helps to thicken the stew once it is heated for some time. The large bone in the center of each of the medallions, which are usually cut with a saw by a butcher, has marrow exposed that will add a deep flavor to the sauce. The oxtails are initially seared in oil in the cooking pot until they are browned on all sides, but not necessarily cooked all the way through. The browned oxtails are removed; carrots, onions and celery are added to the pan and cooked until soft, with any leftover pieces of meat sticking to the bottom of the pot adding more flavor. Other spices, such as thyme or oregano, also are added at this point. Once done, the oxtails are placed back into the pan along with water or broth and, sometimes, red wine. At this point, the entire oxtail stew is set to simmer for a few hours. About an hour before the oxtail stew would be completed, root vegetables such as potatoes or parsnips can be added along with any beans and, usually, tomatoes. The stew is taken back to a boil and allowed to finish cooking. The end result is a thick stew with a mixture of both fresh and roasted flavors that can be served on its own in a bowl, over rice, or with bread. What Is Korean Oxtail Soup? 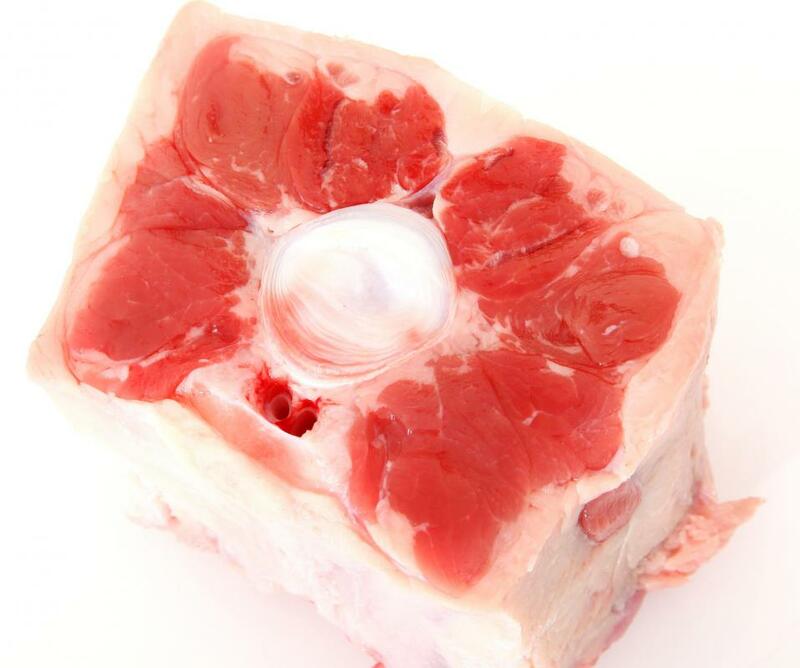 What Are the Best Tips for Cooking Oxtail? What is Raw Start Stewing?